Wow--this really does look delicious!! Many thanks for your kind words and taking the time to post a comment. This is nice, but some people might need a little bit of re-thinking to go for it. 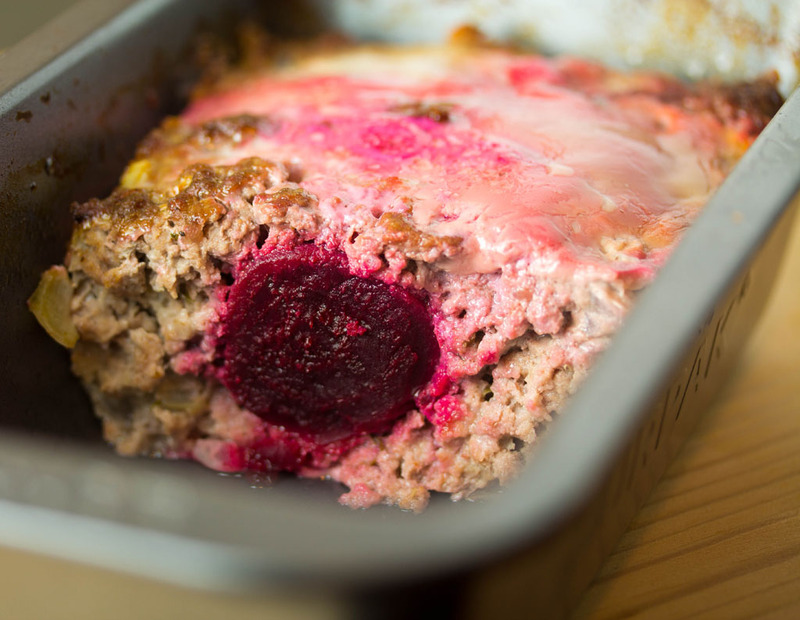 It does look and taste a bit different than your average meatloaf. If you do take the step though, I believe you'll like it. Well, it contains two of my favorite things: beets and beef! I actually just posted this recipe and your Guinness mustard recipe on my blog! I'm really happy that you liked these recipes, and that you liked them well enough to post them on your blog makes me even happier. Many thanks for your kind words and for taking the time to leave a comment. It is quite funny how it works when you move away from your home country. Christmas gone was the first time I ever even considered that I missed some classic Swedish dishes on the Christmas table.